From routine cleanings and fillings to bruxism devices, Midway Family & Cosmetic Dentistry is equipped to handle all your dental needs. To help you understand your options, we’ve included descriptions of some of our leading services on this page. Your initial oral examination includes a visual examination, charting, periodontal probing, diagnosis, and treatment recommendations. We will also take x-rays. These may include a panoramic or full series of radiographs, for proper diagnosis of the anterior (front) and posterior (back) teeth, and the bite-wing x-rays for proper diagnosis of decay between the posterior teeth. We offer a custom tray home bleaching system. It is a method proven to give the most effective, long-term results. We also have the GLO in office treatment and take home whitening system for our patients. A crown can return structure, strength and function to a tooth with extensive decay or damage. Designed to fit snugly and function as a healthy tooth, a crown will protect your tooth from further damage and preserve the jaw’s correct natural alignment. We are able to use precious metal, porcelain fused to metal, or all porcelain crowns; however to maintain a fully white smile, we recommend all porcelain crowns. Porcelain crowns are extremely durable and long lasting; these benefits make them popular with our guests. Typically, we design, fit and place your crowns in two appointments. You will enjoy restored function with chewing and your speech may improve. Dental implants will improve your lifestyle! Dental implants can also anchor bridges, partials, or full dentures to eliminate slipping. They look, feel and function like natural teeth due to the titanium anchor that attaches itself to the jawbone. Porcelain veneers are a beautiful way to correct stained, chipped, or crooked teeth; ultimately transforming your smile in as few as two dental visits. Veneers are semi-translucent shells that are bonded to the front of your teeth, changing the appearance of your smile by altering the color, shape, and size. A whiter, straighter, more aesthetic smile can make you look years younger and boost self-confidence. 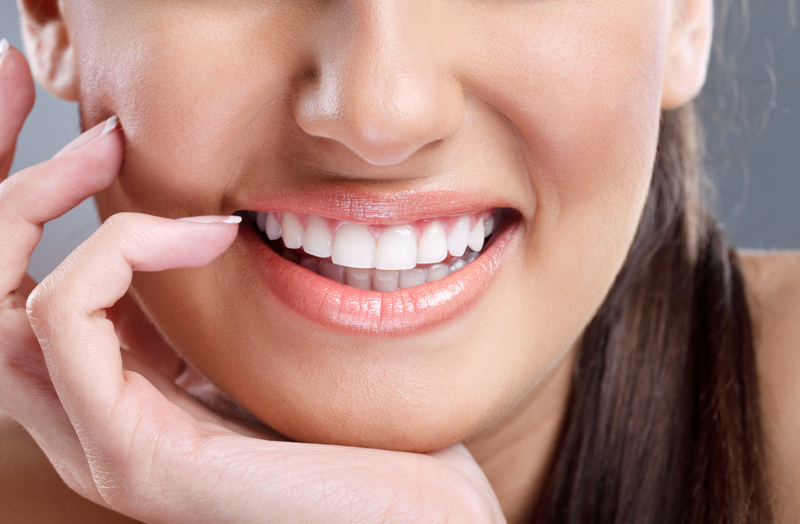 If you have lost a tooth either genetically or due to injury, we can create a permanent bridge to restore your smile. A bridge not only fills the gap, but it also prevents repositioning of remaining teeth. A fixed bridge is a prosthetic tooth (or teeth) that attaches to adjacent teeth with prepared crowns. For a bridge that replaces many teeth, we may recommend a removable partial denture or implant supported prosthesis. With proper care, a fixed bridge may last at least 8 to 10 years. We use two types of filling material to restore teeth. Composite is a tooth-colored filling material that is light cured and matches your teeth. Amalgam is silver in color, but is a longer lasting filling material. Dr. Reinhart and Dr. Moore will discuss your treatment options and help you make the best decision for your needs. You should have a professional cleaning at least twice a year. If it has been over a year since your last cleaning,possible treatment will include a Debridement and/or Root Planing and Scaling (requiring anesthetic). Whether you are an athlete or casual sports participant, you should wear a mouth guard to protect your teeth. If you grind your teeth while you sleep, a bite guard will help reduce symptoms of TMJ and protect your teeth from wear. We custom make mouth guards in both soft and hard materials. they can be used to enhance the beautiful cosmetic dentistry that we provide at our office. before the filler to make the procedure painless.